Update: As previewed earlier, and expected, New York’s city council dealt a political blow to Uber and other app-based car-for-hire companies by approving a one-year industry-wide cap on new ride-hail licenses and giving the city Taxi & Limousine Commission authority to set minimum pay standards for drivers. As Bloomberg reports, the council voted against a similar cap proposed by Mayor Bill de Blasio three years ago after Uber mounted a television ad campaign and mobilized drivers and customers to oppose it. App-based licenses have since increased to more than 80,000 from 12,600 and provide 17 million rides per month, according to the city Taxi & Limousine Commission. Council Speaker Corey Johnson said earlier that the regulations are intended to protect drivers, fairly regulate the industry and reduce congestion. The year-long cap on new licenses for ride-hailing vehicles will take place while the Taxi and Limousine Commission (TLC) studies the effects of ride-hail service in the city. The cap would not apply to new wheelchair-accessible vehicles or new vehicles serving an area demonstrating need in a way that does not increase congestion. New York Mayor Bill de Blasio said in a statement that "Our city is directly confronting a crisis that is driving working New Yorkers into poverty and our streets into gridlock. The unchecked growth of app-based for-hire vehicle companies has demanded action – and now we have it." 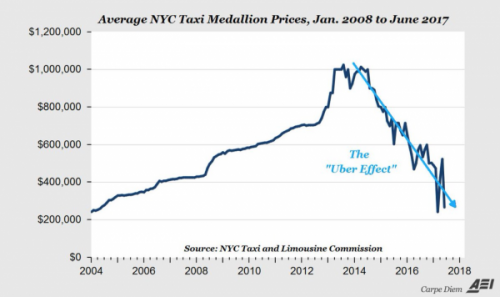 In response, Uber warned that the cap will hike rates, increase wait times and generally result in worse service. "The City's 12-month pause on new vehicle licenses will threaten one of the few reliable transportation options while doing nothing to fix the subways or ease congestion," Uber said in a statement. "We take the Speaker at his word that the pause is not intended to reduce service for New Yorkers and we trust that he will hold the TLC accountable, ensuring that no New Yorker is left stranded." And there you go 'Murica: the government once again stepping in to make your life so much nicer. It seems like men should be restricted from driving in more lucrative locations (areas with higher rates of crime and more drinking establishments) - some kind of affirmative action that forces women to drive more frequently (like men do)? The bills, supported by Mayor Bill de Blasio and Council Speaker Corey Johnson, are widely expected to pass - and include a one-year cap on new taxis while the city studies the booming industry. 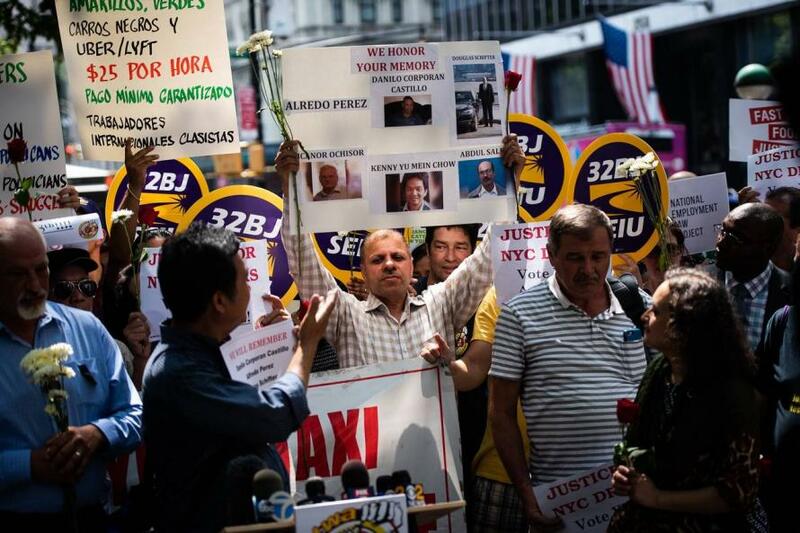 The legislation would also allow New York City to set a minimum pay rate for drivers. In May, taxi driver Yu Mein Chow, a 56-year-old immigrant living in Queens, was found dead - floating down the East River near the Brooklyn Bridge. Seven years ago, Chow financed a $700,000 taxi medallion that allowed him to operate a cab throughout the city. Shortly after, he realized with the introduction of ridesharing apps that his ability to service the debt was unsustainable; only instead of declaring bankruptcy, he chose to end his life. 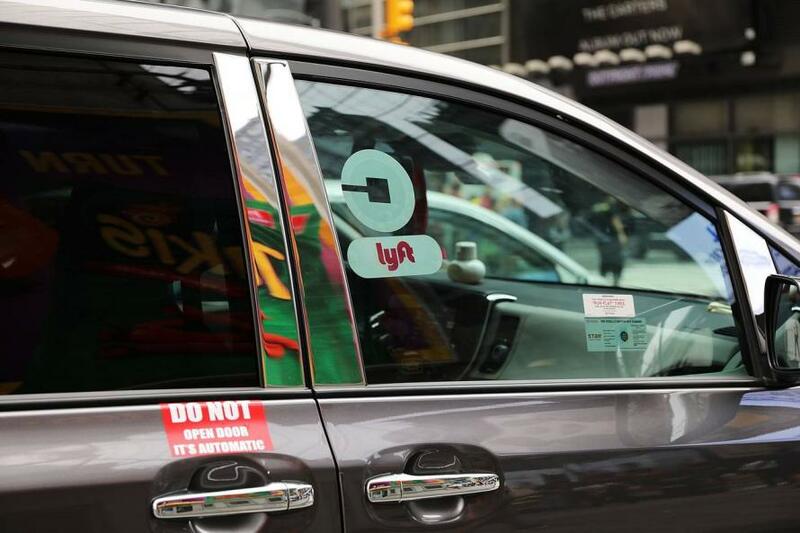 Following an unsuccessful 2015 bid by de Blasio to cap ride-hailing companies in 2015, the services have ballooned in popularity throughout the city. As the Journal notes, "At that time, there were 25,000 ride-hailing vehicles on the streets, according to the Taxi and Limousine Commission. Today, there are more than 80,000 such vehicles. They dwarf the roughly 30,000 livery and traditional black cars, 13,587 yellow taxis and 2,300 green taxis." Uber and Lyft have also been blamed for adding to New York's notorious road congestion. Lead sponsor of the minimum wage bill, Councilman Brad Lander, appeared at a Tuesday rally in support of the legislation, saying that the package of bills "puts New York City on a path to sensible regulation of for-hire vehicles."